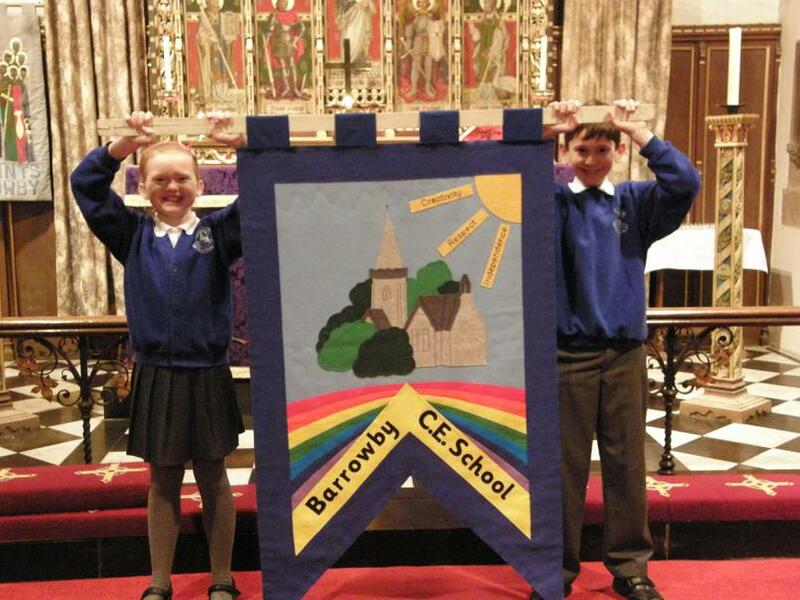 At the end of our School Christmas Service, on 15 December service, our new school banner was shown to the school. The banner was designed by a Year 6 child last year, and created by Mrs Clark—our thanks to her for her skill and hard work. The banner will be displayed in school, and taken to Lincoln Cathedral for school events such as the Year 6 Church Schools’ Festival in the summer.